Today, Volition has revealed the plans of their panel at PAX Prime Seattle for Friday. The panel will include a quiz show starring Natalie Lander, the voice of Kinzie in the Saints Row franchise. After the quiz, Volition will reveal art, gameplay, and details over their upcoming, unannounced game. In January, 2013 THQ went bankrupt and had to sell off their studios. Volition was the subject of a bidding war between Koch Media and Ubisoft, with Koch Media beating out Ubisoft. While Volition still holds the rights to Saints Row, their other flagship series, Red Faction, was bought by Nordic Games. Nordic Games is a Swedish publisher that published the Alan Wake and Painkiller games at Sweden. They also acquired the rights to Darksiders, MX vs ATV, and Destroy all Humans! It’s unknown what Volition game will be shown off, but seeing that Natalie Lander is there, a chance of a new Saints Row game isn’t completely out of the question. There is a chance of a new IP and Natalie Lander could be one of the voices of the new game. The last game Volition released was Saints Row IV for the PlayStation 3, Xbox 360 and PC in 2013. PAX Prime is in Seattle from August 29th to September 1st. Expect a few more announcements leading up to PAX Prime. What ever Volition has coming, I can’t wait to see what it is. 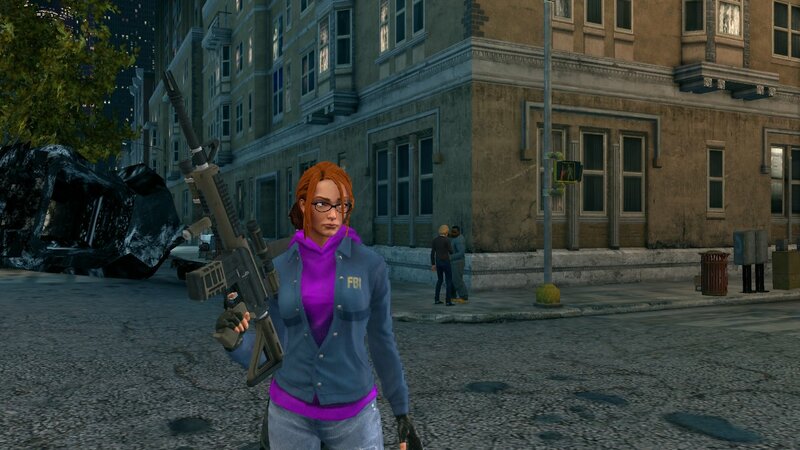 Despite its flaws, I really loved Saints Row IV. It’s over-the-top action and campy story made it a lot of fun. I would prefer a new IP, but if it’s a Saints Row game for PlayStation 4 and Xbox One, I won’t mind too much. Jesse Webster is a Senior Writer at MONG and thinks Kinzie Kensington is awesome. You can find him on Twitter. I would love to see a Saints Row on PS4, though I’d prefer if they stayed away from super powers and such. To be fair I didn’t play SR4 so I don’t know how the powers worked, but I think it’d take away from some of what I loved about SR3, the vehicles, guns, etc. We shall see what they do next though!